A white supremacist group has targeted Prince Harry and wants him dead for marrying Meghan Markle, calling him a “race traitor” Newsweek reports. 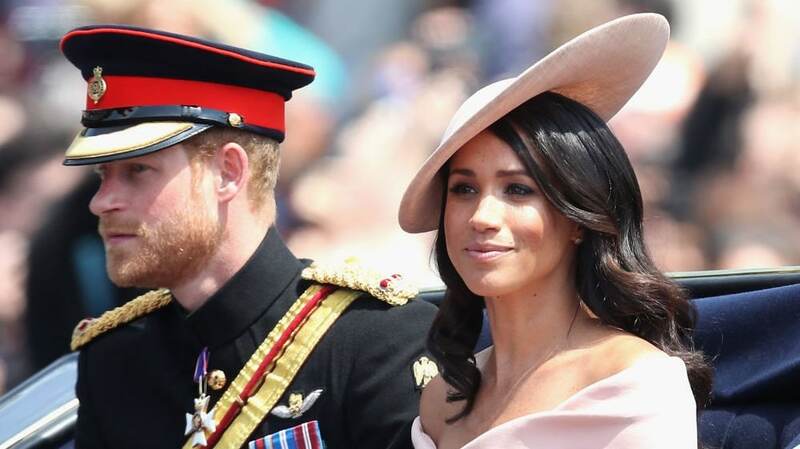 Because Markle, the Duchess of Sussex, is the biracial daughter of a Black mother and white father, British neo-Nazis are angry over the royal couple’s nuptials earlier this year, which meant the extremely rare entry of a nonwhite person into the House of Windsor. The group, Sonnenkrieg Division, is known for inciting hate through its propaganda and aids terrorism in an effort to build a national socialist state, according to Newsweek. The group is a sector of another group called The Atomwaffen Division which idolizes Adolf Hitler. The Daily Mail reports that the group’s leader, Brandon Russell, was found with bomb materials in his Tampa, Florida apartment and was sentenced to five years in prison earlier this year. “[The] group is a disease and the only way to eradicate it is to figure out where it is and root it out,” said Jeanne Pepper Bernstein to the BBC. Her son was reportedly killed because he was gay and Jewish. Meghan and Harry are expecting their first child together in next spring and Kensington Palace has revealed that the couple will be moving out of their two-bedroom apartment on the palace grounds and into the 10-bedroom Frogmore Cottage at Queen Elizabeth II‘s Windsor Castle. When the royals announced Markle’s pregnancy in October, fans across social media immediately shared baby name recommendations for the couple. Prince Charles, 70, is now teasing the names his son and daughter-in-law are considering… and those that didn’t make the shortlist. According to Daily Mail, while addressing guests at a reception at the Australia House in London last Thursday, the future King of England joked about Markle and Prince Harry‘s list of baby names. “My son Harry tells me that during their recent tour of Australia he and his wife were offered countless, thoughtful suggestions for the naming of their forthcoming baby,” Charles told the crowd, etonline.com reports.